What is calling you? What is stirring in you? And why now? Motivation at its source is often purely personal - selfull, not selfish. – to find a way, to make an offering in a way that was true, that uses well one’s skills and talents. Take the necessary time to wonder and imagine without becoming too fixed on the how. Trust that like a seed planted and germinating, it will burst into an idea of form and action. 2. Talk it out with those you trust. Like any creative endeavour, fragile as a new seedling, bringing it from imaginal space requires careful tending because risk is involved. Talk with people you trust, who appreciate and have experienced the promise and power of circle to invite people into a deeper, meaningful space for reflection and dialogue. They will help clarify your intention, reveal its weak spots, and shore up your confidence to move forward. 3. Create a simple design grounded in components of The Circle Way. Refer to our downloadable The Circle Way Guidelines and the new Pocket Guide. Read The Circle Way: A Leader in Every Chair. 4. Expect to feel scared and your commitment to waver. 5. Ask for what you need. You are offering what you can, so now enact the other half of this Circle Way agreement. Inherent is a reciprocity which supports a courageous, yet vulnerable and tender-hearted way of showing up. It’s a wise antidote to compassion fatigue, depletion, isolation and the shadow elements which can thwart we who dare to step in bravely. Go to The Circle Way Practitioners Facebook Group for support. Contact people on The Circle Way website. We sit beside you on the rim. There are no perfect people. There are no perfect projects. We are not measured against perfection, only called to do what we can, to set out on an exploration to an imagined destination, an imagined good. So forget about the fear, forget about the guilt, forget about the fact that the doorway makes no promises. Just step through it. Don’t miss all the fun. If you believe as I do, that once you have announced (or whispered) your intention, you are heard. Like Goethe’s verse, Providence will begin to work in your favor. You will be asked again. You will be supported. You, me, we are the ones we have been waiting for. 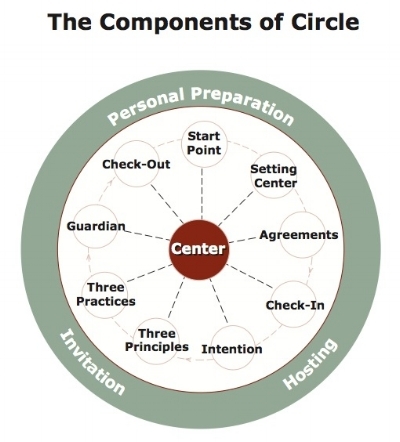 What have you found helpful in your preparation for using the circle for social activism? 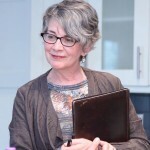 Read Katharine's story of circle as activism to discover how The Circle Way can help us respond to multiple tragic and turbulent incidents around the world.